What if you had a location-based mobile dating and hookup app that wasn’t based around profile photos? Twine is attempting to create an experience that’s focused on conversation rather than looks. One of the most compelling features of dating or hookup apps like Tinder or Bang With Friends (BWF) is swiping through the screen and seeing photo after photo of either young people near you (Tinder), or people you know in real life (BWF.) And it’s proved to be a successful tactic for these wildly popular apps. But there’s no denying that it also feels kind of shallow. Twine is a dating app launching Wednesday that is different from Tinder and BWF in a couple of key ways: It matches you with people nearby, but you can’t immediately tell what those people look like and it focuses on helping you make conversation with them. If you’re totally happy using BWF, or you couldn’t imagine chatting with someone who doesn’t look like a model, then perhaps Twine isn’t for you. But I suspect that a lot of people — particularly women, who are notoriously less enthusiastic about online dating and hookup apps then men — would be willing to give it a try. Twine tries to match you up with people in your age range and who share Facebook interests — so theoretically you have something in common. Unlike Tinder, it only matches you with up to three people per day, so you’re not scrolling through an endless sea of photos. Plus, Twine is committed to cutting down on the spam and fake profiles that populate a lot of similar apps, by instituting a couple of restrictions: Women and men must join the app in equal numbers (you’ll go on a waitlist if your gender is over-represented), and you must use your actual Facebook profile photo, so you can’t upload any old photo that isn’t you. 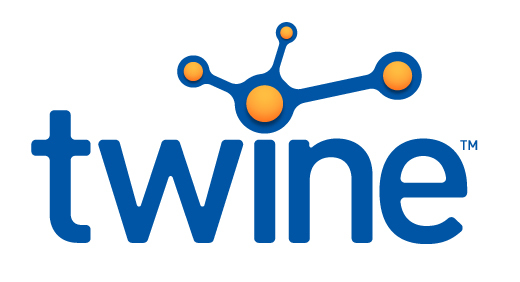 Twine is launching on both iOS and Android, and it’s being incubated within the company Sourcebits, the San Francisco-based firm that’s created and worked on mobile apps for companies like Coke or Twitpic. It’s possible that people downloading hookup apps are shallow or photo-focused, and don’t want to have meaningful conversations with strangers. But Ann Friedman wrote a great article for The New Yorker called “Overwhelmed and Creeped Out” that talked about why women aren’t flocking to dating apps the way men are, and it has to do with being flooded with messages and creepy pics of strangers. While apps like Tinder seems to have overcome this apprehension among ladies, it’s still an interesting nut to crack as the market for these hookup apps keeps growing. And let’s say you’re matched with someone, but you have no idea what to talk with them about? Twine pulls in the other person’s Facebook interests, and has a particular feature that will auto-suggest questions for you to ask that person based on the interests. It’s called “Intelligent Conversation Enhancer.” Seriously. But while it sounds like a Silicon Valley geek’s approach to social interaction, the auto-suggested questions weren’t terrible. As for the replies, you’re on your own crafting those.